Harper has earned her reputation with a nine-year record of 167-128, including three NCAA Tournament appearances and four WNIT berths in that span. Her teams have historically played their best in the postseason, as she holds a collective 22-13 record in conference tournaments, NCAA Tournaments, and WNIT games. In fact, in 18 seasons as a Division I head coach, assistant coach and player, Harper has made 15 postseason appearances with a combined 415-181 (.696) record, 11 NCAA Tournament appearances and four WNIT bids. Harper became just the third coach in North Carolina State history in 2009 and directed the Wolfpack to three postseason appearances during her four-year stint at the helm, including the 2010 NCAA Tournament. NC State joined Tobacco Road rivals Duke and North Carolina as the only Atlantic Coast Conference teams to score wins over the league’s other 11 teams during that span, and earned six top-25 victories in four seasons. Prior to her stint in Raleigh, Harper led Western Carolina to a 97-65 record and four postseason berths in five seasons, including a 70-31 mark her final three seasons in Cullowhee. The Catamounts captured the first two Southern Conference (SoCon) Tournament titles in school history while seven student-athletes captured all-conference honors during her tenure. Before her first head coaching job, Harper spent the three seasons as an assistant coach at Chattanooga, helping the Mocs to three consecutive Southern Conference championships, three NCAA appearances and a combined 78-15 record under head coach Wes Moore. She tutored four all-conference guards while at Chattanooga, including the 2004 league player of the year. 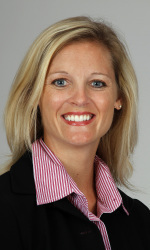 Prior to her time in Chattanooga, Harper spent two seasons at Auburn, the first as an administrative assistant before being promoted to assistant coach under Joe Ciampi for the 2000-01 campaign. She was part of the Auburn staff that squared off with the Lady Bears in the first round of the 2000 NCAA Tournament in State College, Pa. The former Kellie Jolly played on three national championship clubs at Tennessee for the legendary Pat Summitt and earned honorable mention all-America honors as a senior in 1999. As a junior, she guided the Lady Vols to a 39-0 record and national championship, averaging 7.6 points and 3.8 assists for the season and scoring a career-high 20 points in the national title game against Louisiana Tech. She went 4-of-5 from beyond the arc in that contest and was named to the 1998 All-Final Four Team. Harper, 35, is married to Jon Harper, who has served on her coaching staff at Western Carolina, NC State, and now at Missouri State.